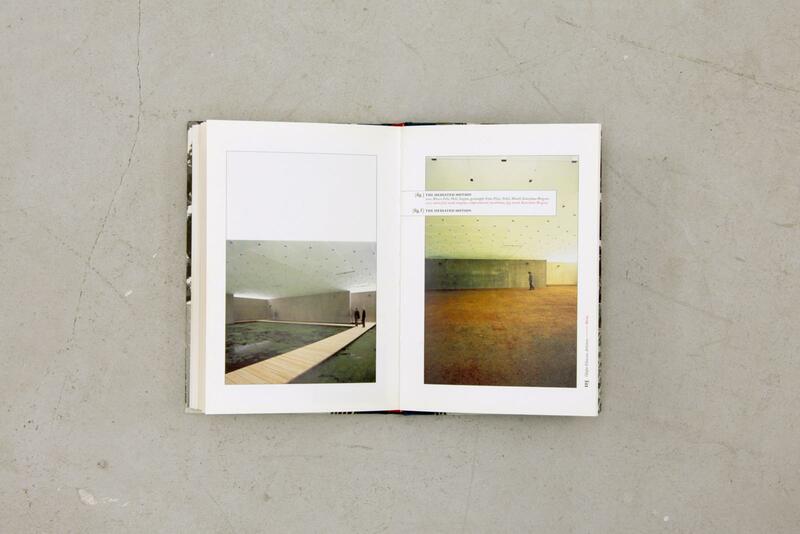 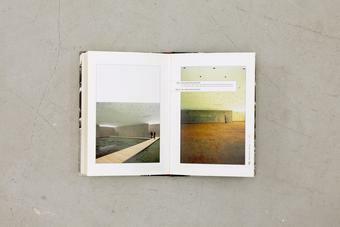 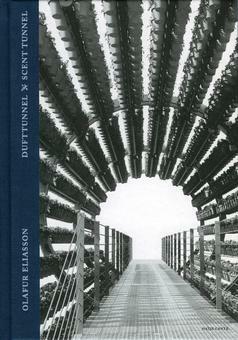 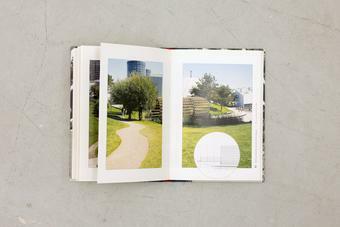 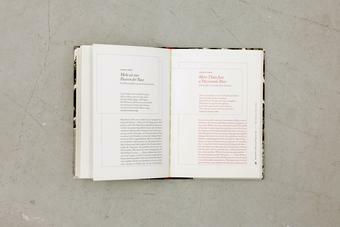 This book accompanies Eliasson’s installation Dufttunnel, 2005, permanently placed in the Autostadt in Wolfsburg, Germany. Dufttunnel is made up of 2,160 pot plants, arranged in three tubular sections that revolve at different speeds. 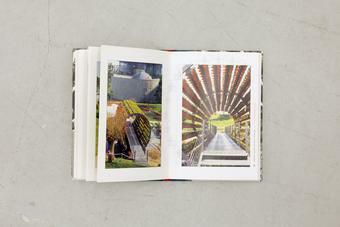 Visitors walk through the tunnel on a steel grating while the plants rotate slowly around them. 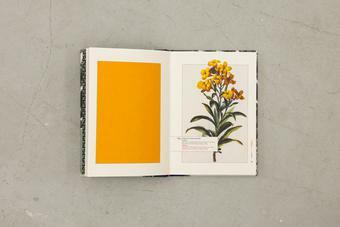 Depending on the season, one of six types of plants is used: yellow wallflower (Cheiranthus cheiri), horned violet (Viola cornuta), heliotrope (Heliotropium arborescens), lesser calamint (Calamintha nepeta), lavender (Lavandula angustifolia), and sage (Salvia officinalis). 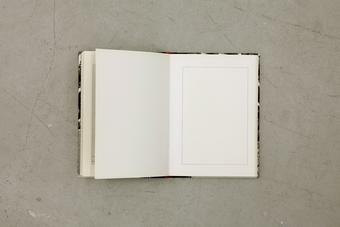 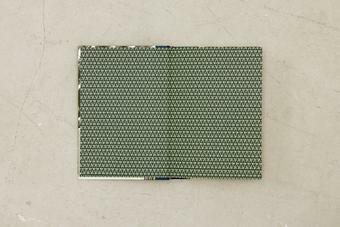 With graphic design conceived and realised by Andreas Koch, the catalogue features a small section of six blank pages that have been infused with flower scent. 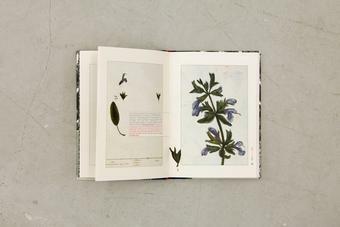 When rubbing the surface of the pages individually, the reader thus experiences the distinct smell of each flower. 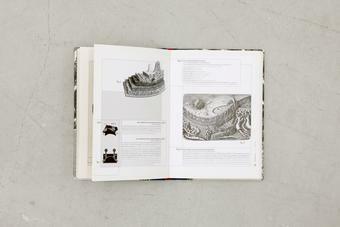 The book also presents historical illustrations of the plants, provided by the Royal Horticultural Society, Lindley Library, London, images of and plans for the installation, as well as three essays by Vanessa Hirsch, Friedrich Meschede, and Thomas Worm.